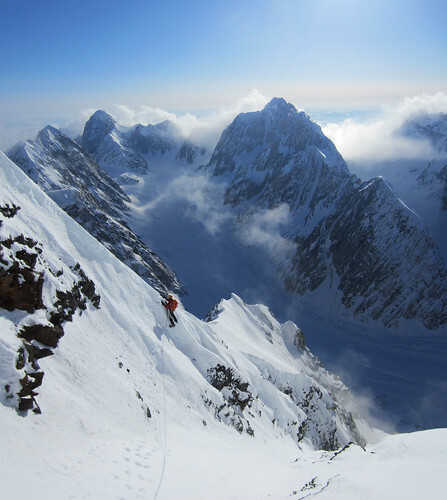 This past spring, Clint Helander and Jason Stuckey made the first ascent of Apocalypse Peak (9,345 ft./2,848 m.) in Alaska’s Revelation Mountains. 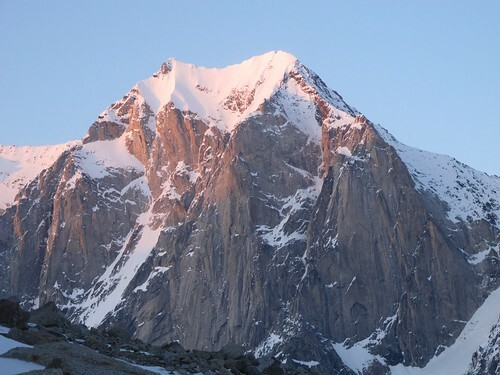 The Revs are a subset of the Alaska Range and are quite remote. 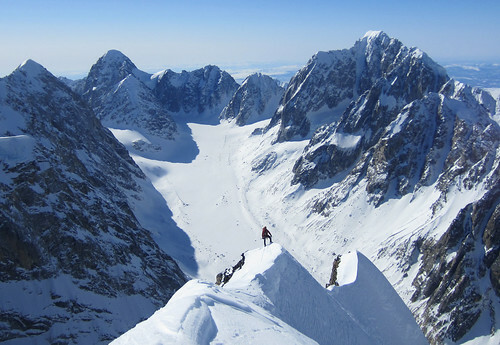 I’ve been in touch with Clint on and off for over a year or so about his various climbs from the Revs and the great routes in Alaska like the north face of Mount Hunter. 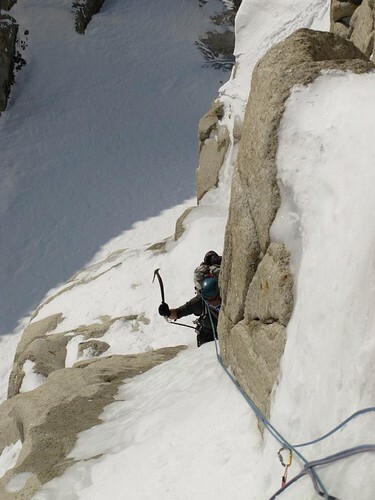 He’s a generous person and even freely shared some photos on his first ascents of Golgatha and Apocalypse Peak. I recently got acquainted to his climbing partner from the Apocalylse ascent, Jason Stuckey. He shared with me several photos from the climb and they may be among the best — if not the best — photos of the Revs ever taken. They have this potential because I’m not aware of any images of the area that are so well composed to illustrate the jagged nature of the range and include the landmarks that were named by David Roberts. Jason Stuckey was generous in giving me full permissions to share his best photos with you here on TSM. Be sure to find a big monitor someplace and click on each one. You won’t regret it.